How to approch a VC firm is pretty important. There are three aspects here: whom you approach, how you approach, and when you approach. 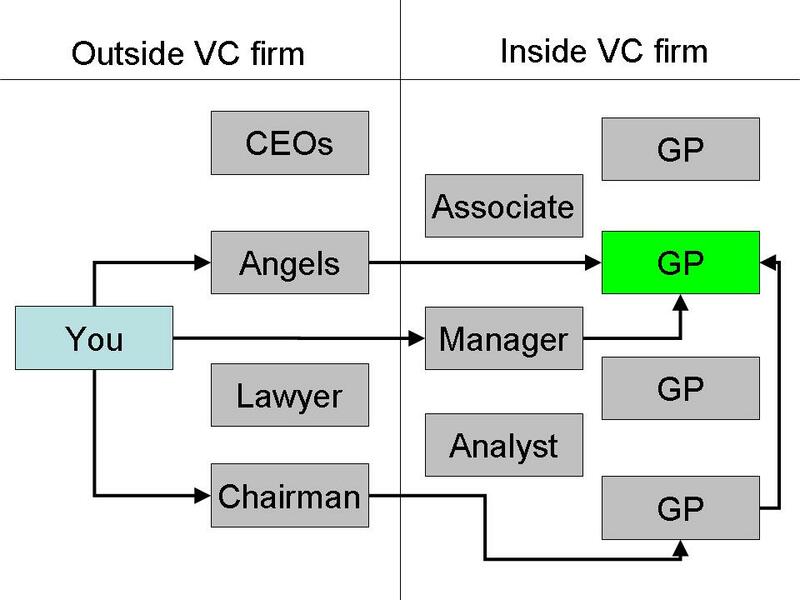 At most VC firms, there is usually only one/maybe two people there that you really want to talk to. That would be the General Partner at the fund who invests in companies like yours. VC firms usually uperate as partnerships. The General Partners of the firm (GPs) employ further support staff, some of which are on the investment side, such as Analysts, Associates, and Investment Managers, and some of which are further support staff. The key to approaching a VC firm lies in understanding that the GPs will make a group decision as in which companies the fund will invest. Everybody else in the firm can and does influence decisions, but they don’t get to make them. The GPs of a fund will make that decision. They key to getting VC investment lies in convincing one General Partner to support and lead your deal. It is then this partner’s job, with your strong support, to convince all other General Partners in the fund to invest in you. Let’s use an example to illustrate how this would usually work. Let’s assume there is a VC fund with some 6 General Partners. One partner invests in mobile companies, two in semiconductors and IT system, and three in software and Internet services (this is not an unusual distribution). If you are a mobile (phone) related company, you probably need to convince the partner who makes these kind of investments to champion your deal. Once you have convinced that partner, he/she will then, over the period of due diligence, convince herself/himself and everybody else that this is the best deal he/she can champion this year. Your (now) champion will put forward the proposal to invest in you. Typically, all other GPs need to consent. Many firms operate on the basis that if one partner thinks it is a bad idea to do a deal, then it won’t happen. In any case, the only person in a fund who can actually convince ALL partners to agree to do the deal, is one of the General Partners. If you can’t convince that one partner, there will be no deal. For all the funds that you want to approach (based on whether they can invest in you and haven’t invested in a competitor, yet), note down the name of the relevant partner. The best way to connect to that partner is to get a personal introduction to that person. Scour your address book. See whom you know who might know that person. Chances are, if you get a personal introduction and if you have a well written teaser document, then you will get invited to pitch. Pitching to Analysts, Associates, Managers, Venture Partners or GPs with a different focus is a great opportunity. They can give you an introduction to the partner(s) that matter to you. If you have to pitch to them to get to the GP in question, then take the opportunity, but if you do, don’t believe you have actually already pitched, yet. All you have achieved is getting on step closer to the GP that you really want to pitch to. 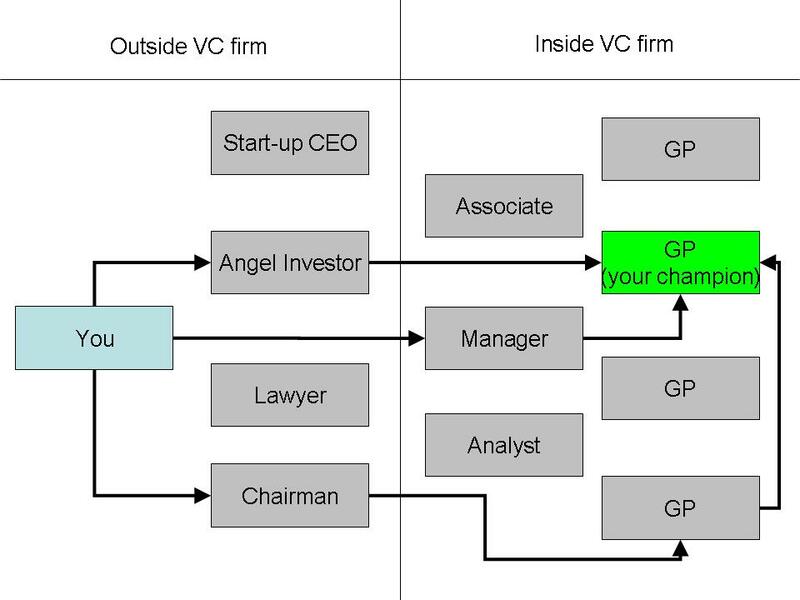 If you find it difficult to get in touch with VCs, you may want to bring somebody onboard either as an angel investor, or advisor/director who is well connected and who can make these introductions. Other ways are to attend many of the small (and free) networking events, where you can get to know people. There are also events specifically for VCs where you might sneak in (it is good fun). Many VCs blog, you can start talking to them online. Or you could get to meet them on online social networks. There are many ways to get in touch. Ultimately, the route doesn’t matter. What matters is that you pitch to the right partner. There are two parts to this. First, remember that you had identified VC firms who don’t have any new funds, so can’t really invest in you, but still would like to see you pitch, so that they remain in the deal flow? Pitch as few of these first, say 2-3. The people there are no less smart than the guys at any of the other funds. They will flush out any problems that your pitch might have. Once you have practiced and refined your pitch, it is time to approach your real prospects. I think it makes a lot of sense to line up the approach to all the VCs that you care about, and then to execute them simultaneously. I am no the only one thinking this, by the way. Approach all these investors at the same time. The reason for this is as follows: unless you do this, you won’t have several term sheets from interested investors at the same time. And unless you are in that position, you won’t be able to compare them. Comparing term sheets is important not so much for playing investors against one another (which is very hard to do unless you have been around for a long while), but it will tell you what your value in the market really is. It will also tell you which terms you won’t be able to negotiate away and which ones are really unusual or which ones are borderline (at that time in the market place). Once you receive a term sheet from an investor, you may have some two to three weeks to negotiate and decide whether to sign it or not. If you stagger your approach of VCs over several weeks or months, you are extremely unlikely to have multiple term sheets at the same time. This will disable you from understanding your market value and that will likely result in a deal that is less optimal then it could have been. Pursue a number of well qualified VCs prospects you can manage simultaneously (say 10-20) and approach them all in the same week. Then take it from there. What you want is to pitch to these partners. Nothing more, nothing less. Approach a small number of investors who can’t invest in you first and practise and refine your pitch. Approach a solid number of well qualified prospective partners simultaneously, so you get to term sheet stage simultaneously. Do not stagger your approach. When you are preparing documents for VC fund-raising, the one piece of advice you will be given by a lot of people is that you need a ‘business plan’ document that you should send to the VC firm. You are also supposed to have an ‘executive summary’ that you can send up front. 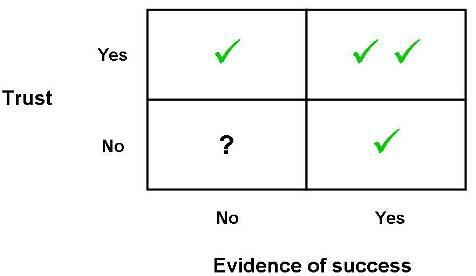 4) There is scientific evidence that shows that submitted a business plan does not lead to successful fund raising. See this interview for the details. – Financials (past and forecast). Probably prepared in a professional accounting software and exported to either Excel or Word format. If you prepare your financials in Excel, this is fine for a seed stage company. – Product outline. Word document format. 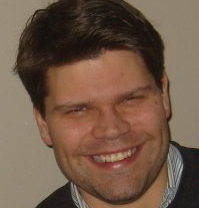 – Patent strategy (if any). Word document. – Marketing plan. Probably in PowerPoint format. – Industry and M&A analysis. PowerPoint format. You should have prepared digital and physical copies of all contracts that the company has signed in the last few years, as well as any previous investment agreements and the articles of association of the company. 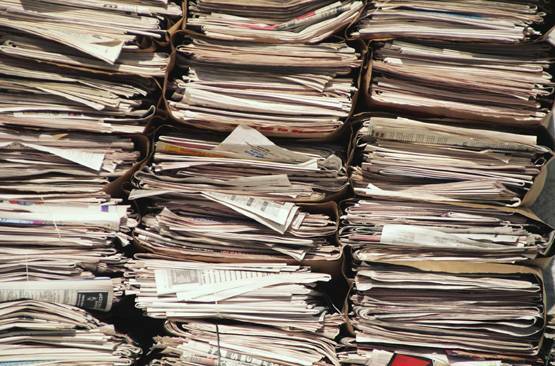 Prepare all these documents separately. There are many good reasons for keeping them separate. Different people can create these docs independently without interfering with others. The content is in relevant formats. You gain the ability to distribute certain documents specifically to certain people whom you are dealing with during due diligence and legals, but not to others. For example, should the VC hire a technology expert to evaluate your technology, then these people really don’t have to see your financials or your sales and marketing strategy. Likewise, when the VC is asking potential customers about your product, then they don’t need to see your financials, or technology outline or patent strategy either. Having separate documents allows you to compartmentalize your information and distribute it on a when-needed and need-to-know basis. This reduces the likelihood of leakage somewhat. Also, should a VC abort due diligence, you haven’t shown them all your documents, but only a few. You can also send documents one by one (no VC is going to read all these documents in one go). Also, it gives quite a nice impression when a VC asks you for your […] plan and you can send over a whopping doc one day later. The first two documents are the most important ones, so I will describe them in somewhat more detail below. The ideal thought that a VC should have when reading this document is: “Hmm, very cool, I want to see these guys pitch…” So, don’t try to answer all the questions in the document. Leave blanks. You are not trying to convince people to do something. Your purpose is to make them curious. To want to know more. To want to meet you and have the opportunity to find out more. Product: what exactly does it do? What pain does it make go away? Market: who are the people who will benefit from your product? why is this an interesting market? Business model: how will you make money? why is this a good model? Marketing & sales: how will you bring your product to market and how will you sell it? will you have good margins and if so how large are they? what are the costs of sales? Industry: who are your competitors and how will you compete? are there elements of buyer, supplier or regulatory power that impact you? how are you going to maintain a competitive advantage? Team: who will make it happen? do you have a good mix of experience and hunger? Financials: how much money is this going to cost over what period of time? how much revenues do you expect to generate? what are the key variable that will influence your revenue forecasts? Investment case: is this sector acquisitive? what are the acquisition drivers in your industry? What are the acqusition drivers going to look like say 3 years from now? how do you fit into all of this? If you can present a case covering the above points on some 15 slides (some 2 slides for each point), you will have done better than most. When I was working at Library House, we asked presenters to cover all the above points in 7 minutes (no more than 12 slides). And yes, it is possible to do that very well. Overall, the request in the pitch is NOT to get investment. Your simply want to further intrigue the prospective investor. You want them to dig in, to do due diligence on you and work with you during the coming weeks. As a side note: sometimes you are asked to pitch your company at a public event. In this case, I suggest you don’t include all the detail of a one-on-one presentation. This is more of a shorter ‘teaser’ presentation document in that case. I will cover how to pitch to a VC in one of the future episodes. UPDATE 2: Good advice on how to write well can be found here. Good advice on how to present good charts can be found here.